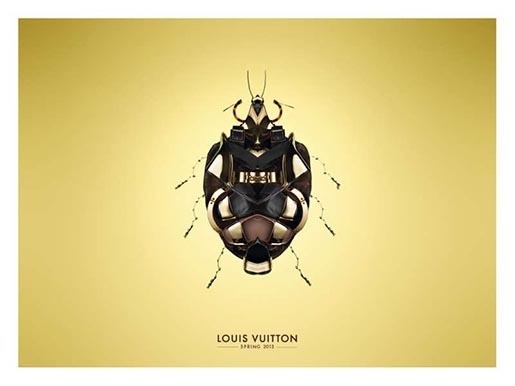 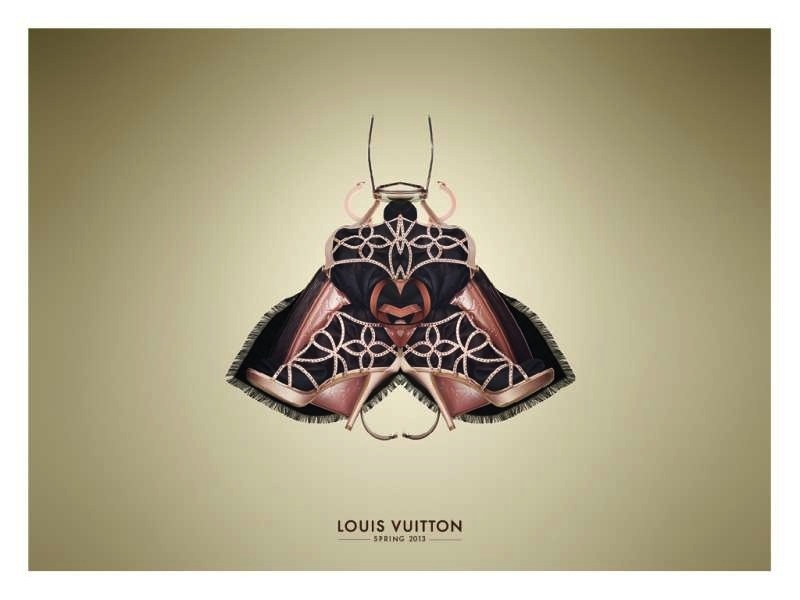 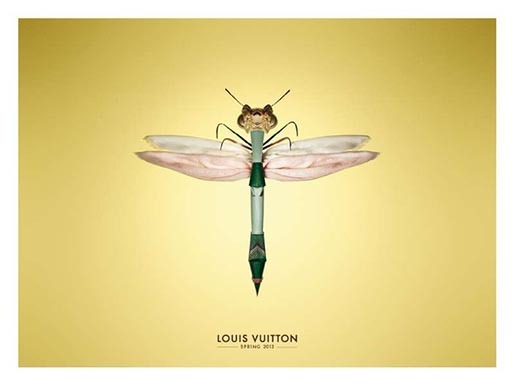 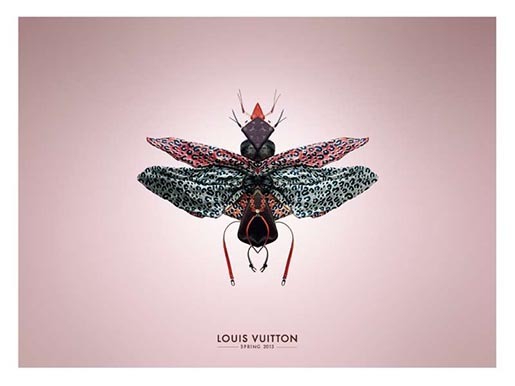 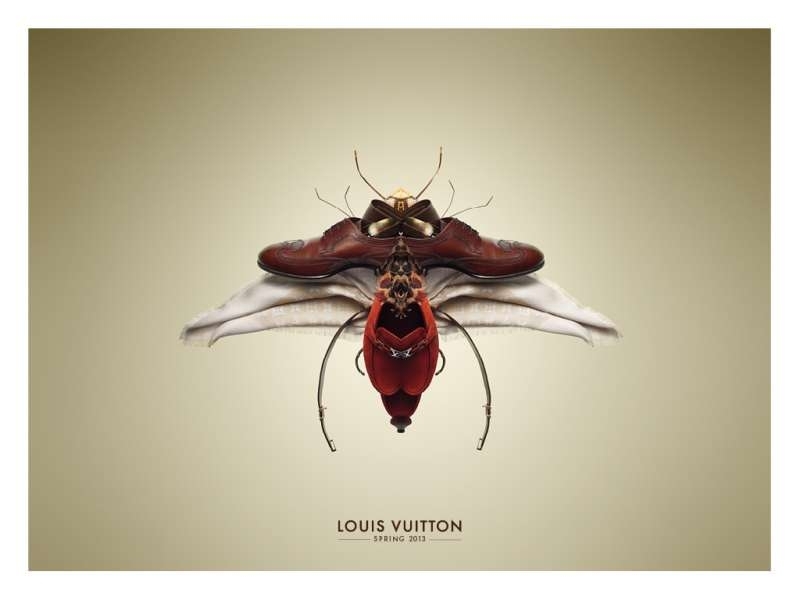 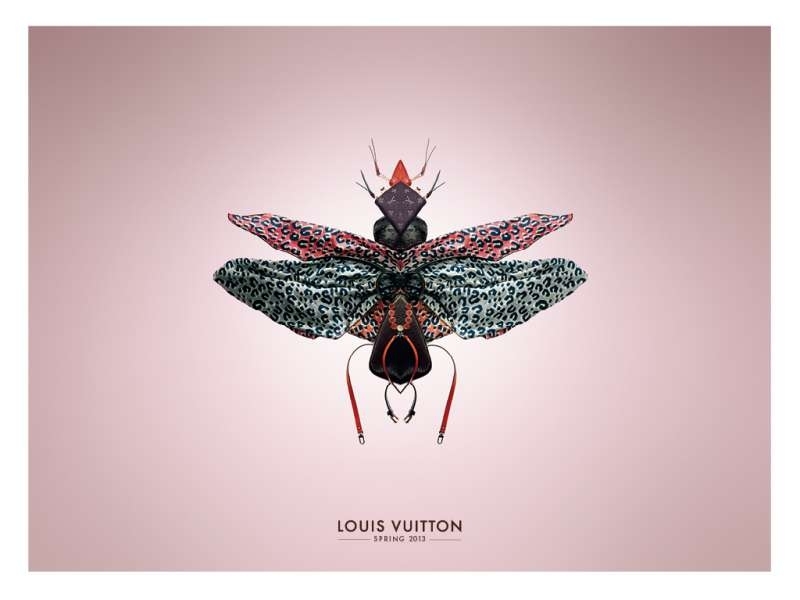 French fashion brand Louis Vuitton promoted their Spring collection in March 2013 with an advertising campaign focused on insects made from brand accessories. 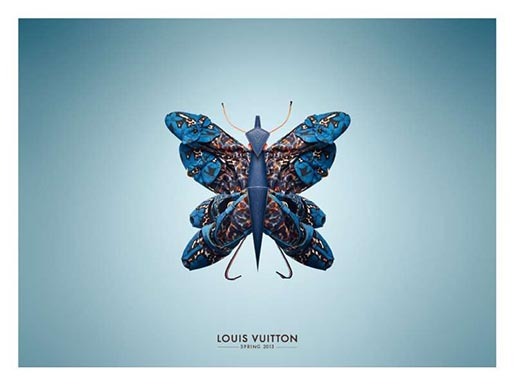 The campaign included a collection of shop window displays as well as a magazine advertising series. 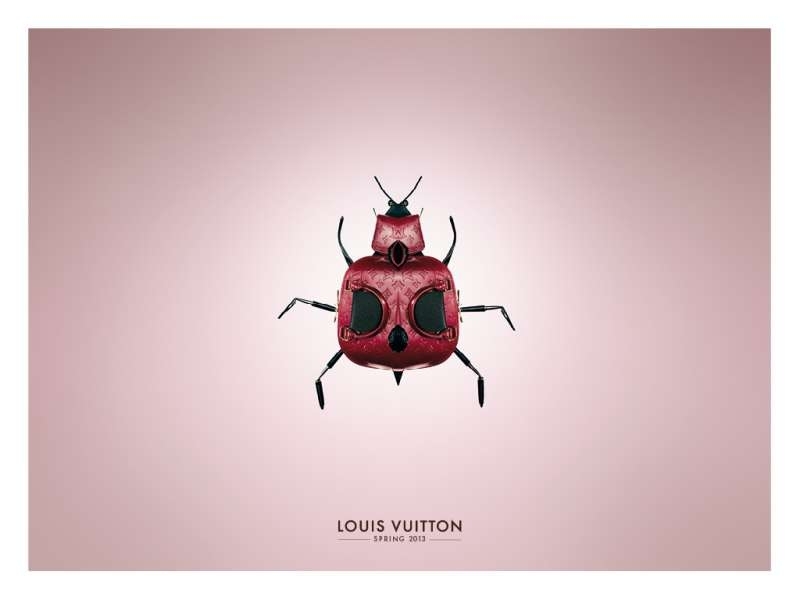 The Insects campaign was developed at Ogilvy France, Paris, by chief creative officer Chris Garbutt, creative director Grant Parker, art director Genevieve Hardy, copywriter Andrew Jolliffe, agency producers Stéphanie Croccel, Catherine Masset, Marion Drouet and Fabienne Moreau, photographer Dan Tobin Smith, stylist Jean Michel Clerc, retoucher Martin Pryor, working with Louis Vuitton communication director Emmanuelle Guillon.